At the beginning of 1953 the British Hit Parade as compiled and published by The New Musical Express, one of Britain?s several weekly music magazines, was all of 6 weeks old. The chart was launched the week of November 15th 1952. 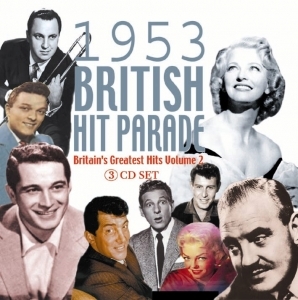 (See Acrobat CD ACRCG711?The First British Hit Parade, which contains every disc that charted until the last week of 1952). This 3CD set comprises every record that entered the UK chart from January 3rd ? December 19th 1953 in chronological order of first entry with the exception of multiple versions of the same song where we have separated the different versions for ease of listening.